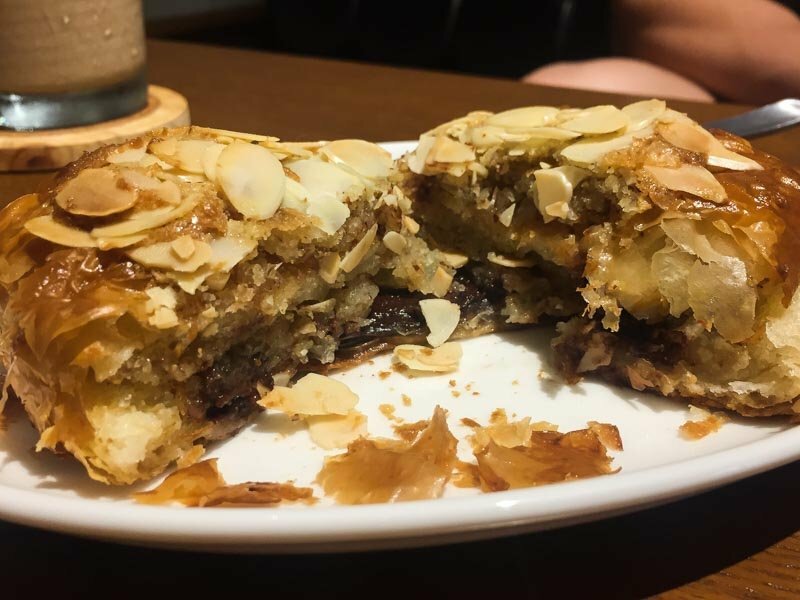 Tucking into a warm pastry and a fresh cup of coffee on a slow day is one of the simple pleasures in life, but it’s not something most of us get to enjoy all the time, given the fast pace of pretty much everything in Singapore. A relatively new Muslim-owned bakery along North Bridge Road has managed to remind me to pause and savour the little things. 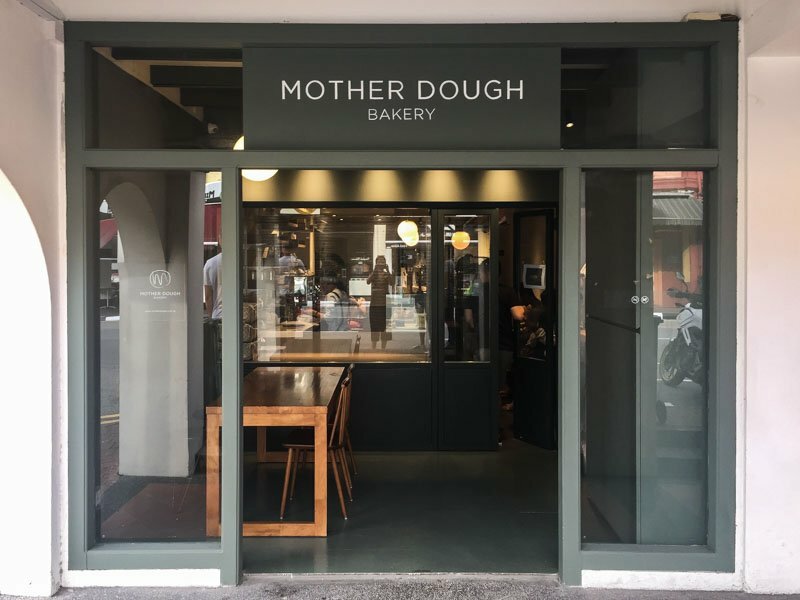 Mother Dough is tempting one and all with an incredible variety of freshly-baked goods daily, and trust me, you’re going to want to get there early. 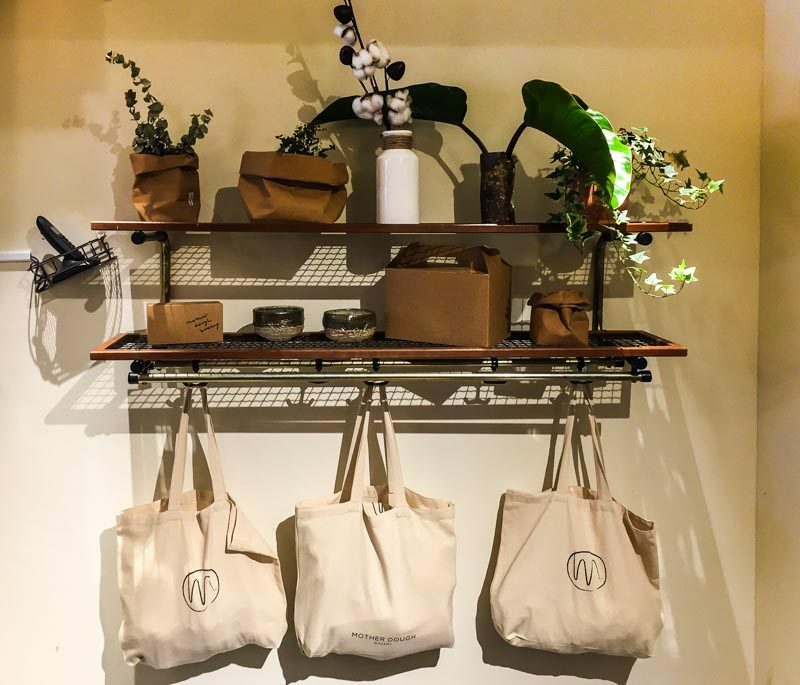 The chic and warm interior will already make you feel at ease from the moment you enter, with handsome wooden furniture and plants to liven up the space. 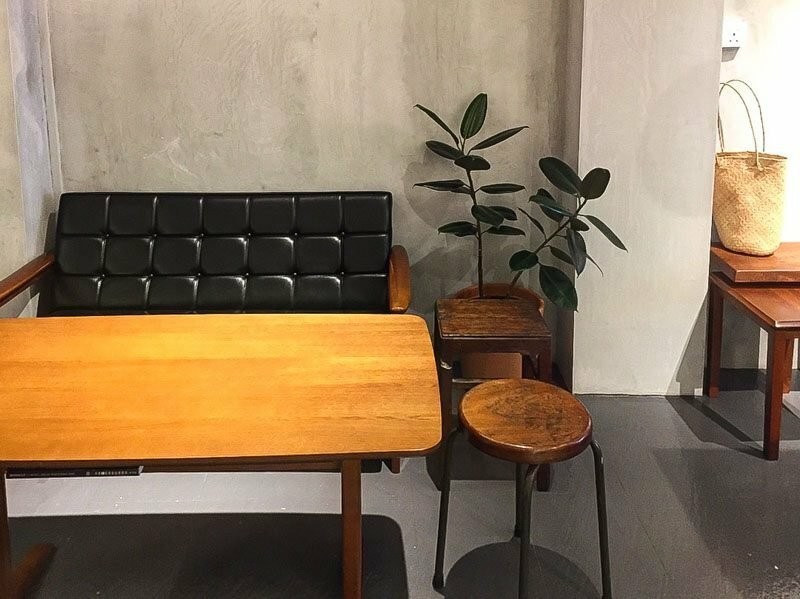 There isn’t much seating, but there’s just enough room to create a cosy ambience, and also a larger table for bigger groups just outside. 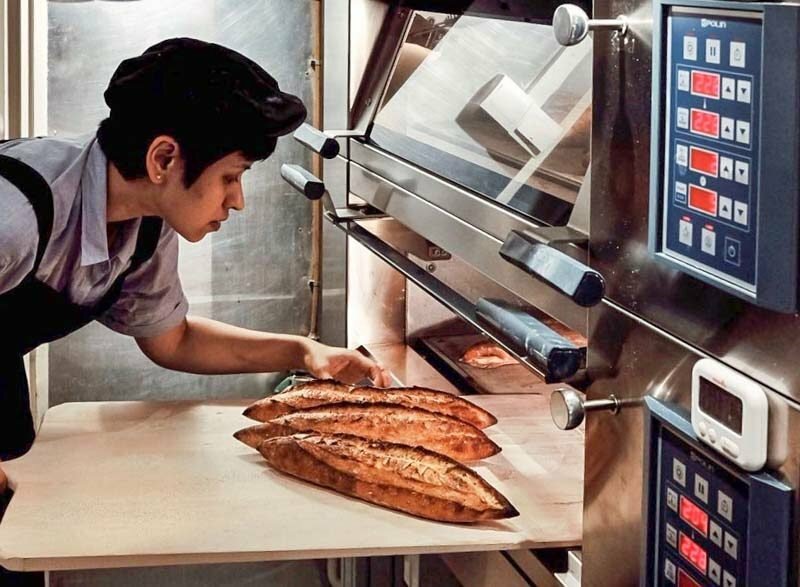 A glass door at the back allows you a glimpse into where the magic happens, and you can watch the busy bakers hard at work. For the unfamiliar, the term ‘Mother Dough’ actually refers to the fermentation starter or sourdough culture used in bread making. A yeast starter is created completely from scratch and then maintained indefinitely, giving the pastries and bread unique characteristics and complex flavours. 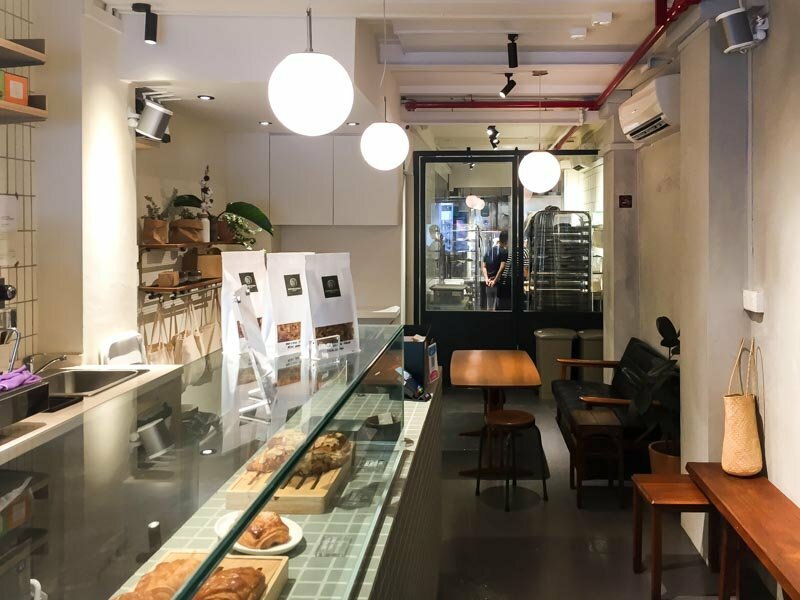 The one used at this particular bakery came all the way from Brooklyn, New York, and now continues to thrive and reinvent itself in this part of Singapore. Why New York? Well, that’s where Mother Dough’s head baker and owner’s bread and pastry journey started. Naadhira Ismail worked in events for a few years before realising that baking was her calling. She hopped on a plane to study at the International Culinary Institute in New York and then continued working there for awhile, honing her craft. 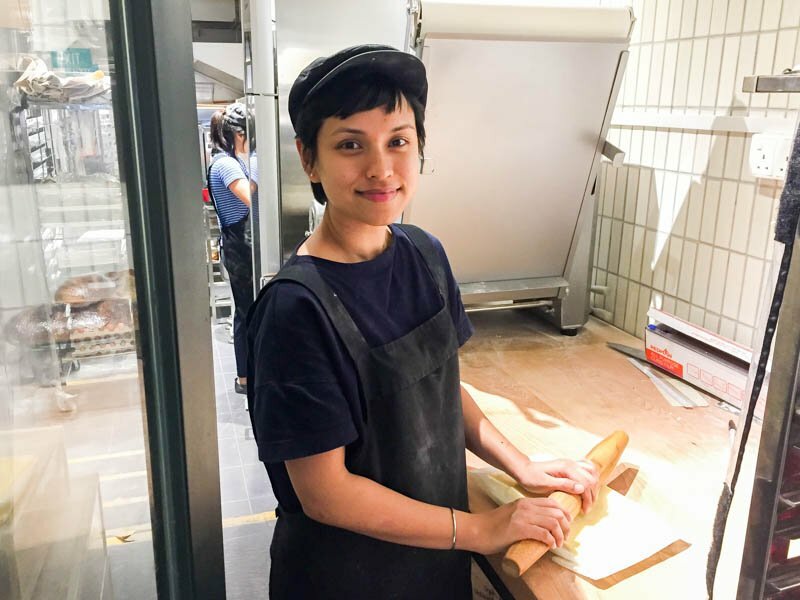 Fast-forward six years, Naadhira brought all that knowledge and experience back to share her love for baking with Singapore. 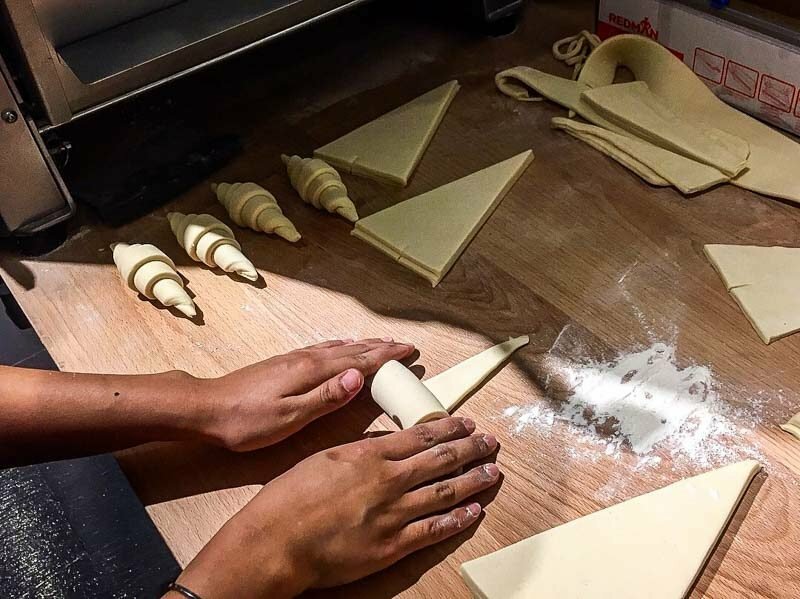 Her speciality is breads, but in the short time since Mother Dough opened, the bakery has also become known for their Almond Croissants (more on that in a bit). Every bread is entirely handcrafted with artisanal techniques, and baked fresh daily with quality ingredients and organic flour. 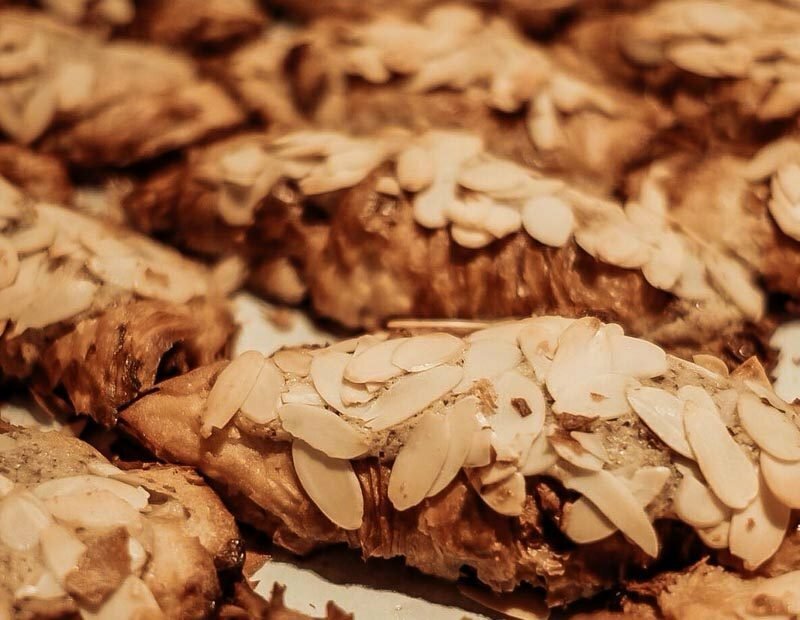 I mentioned earlier that you’ll find a wide variety of different baked goods daily; the baking team churns out anything from bostock to brioche, Danish pastries, tarts, grilled cheese sandwiches, brownies, muffins, galettes, cinnamon rolls and quiches, just to name a few. These pastries breads are topped or filled with fresh and exciting ingredients, including hazelnuts, grapes, strawberries, sweet plums, blueberries, blackberries, cinnamon, tahini, pistachio, almonds, all sorts of chocolate… you get the idea. 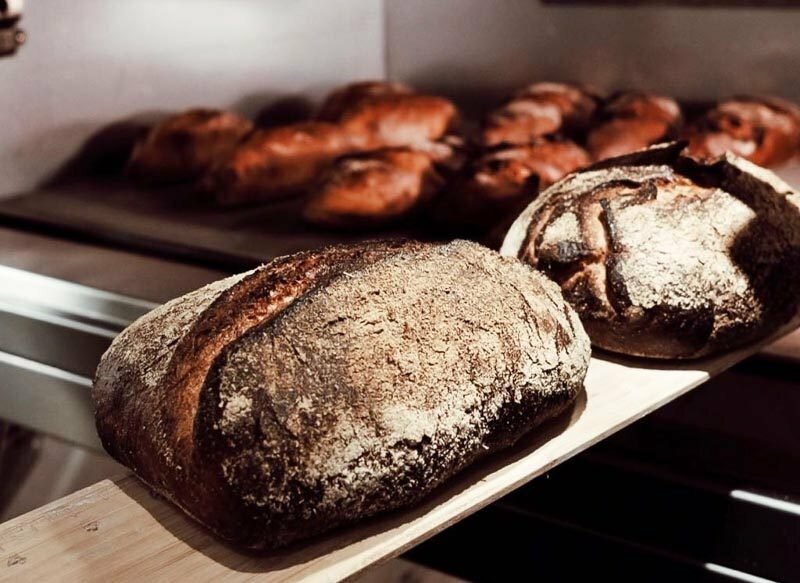 Get there early if you can, because the breads (S$2 – S$8) tend to sell out the fastest! 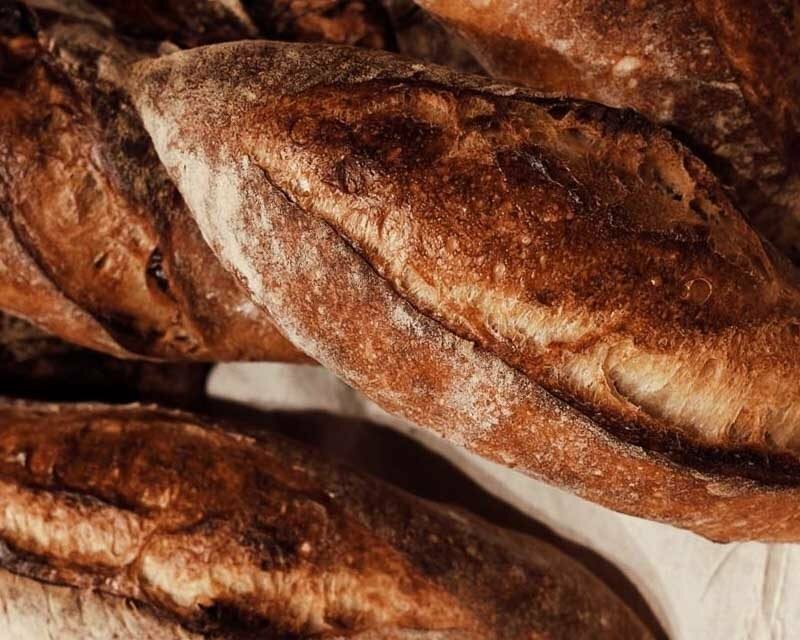 Mother Dough is now taking pre-orders for the popular weekday Sourdough Baguettes, so just call or message them on Instagram to order three days in advance. 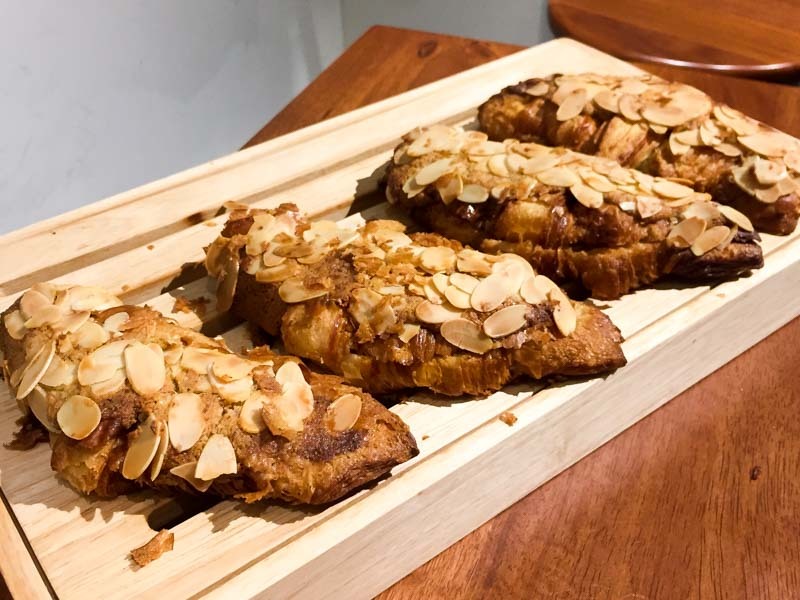 The breads were sadly all sold out by the time I got there, but I was just in time for a fresh batch of the Almond Chocolate Croissant (S$4.50). You can also get the Almond Croissant (S$4) without chocolate, but melted chocolate in a warm pastry? It was a no-brainer. This was honestly the best pastry I’ve had in a VERY long time. The croissant was super buttery and flaky, with clear layers that are a testament to the meticulous technique that the baking process involves. With a generous topping of almond flakes and enough chocolate to fill every bite, it’s no wonder this is a firm favourite. 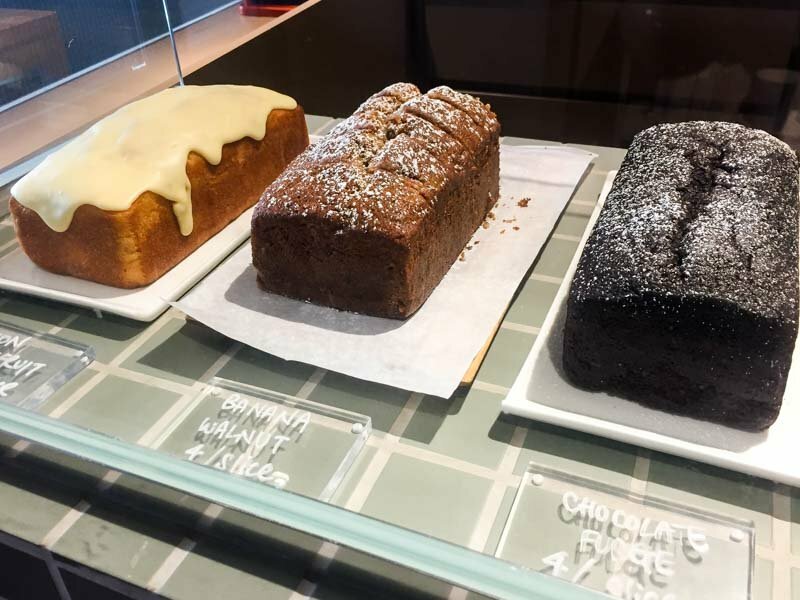 There was also quite the variety of cakes when I visited, and I was torn between the Chocolate Fudge (S$4 per slice) and the Lemon Cake (S$4 per slice). 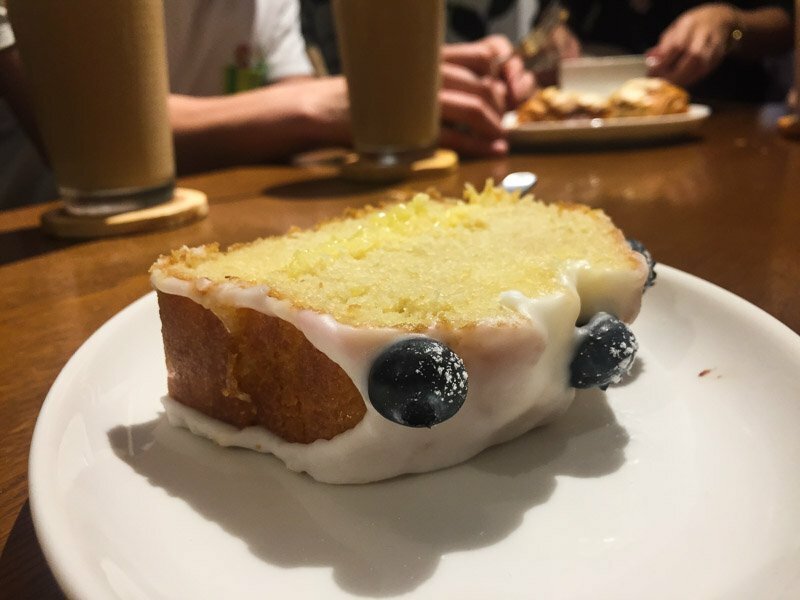 I got the Lemon Cake instead since it’s one of the bakery’s signatures and it came topped with some blueberries. It’s basically a pound cake, and this version was very moist, with a natural lemon flavour that didn’t overwhelm. The icing on top added just the right amount of sweetness, and the tartness from the blueberries balanced everything out – I’m a fan. 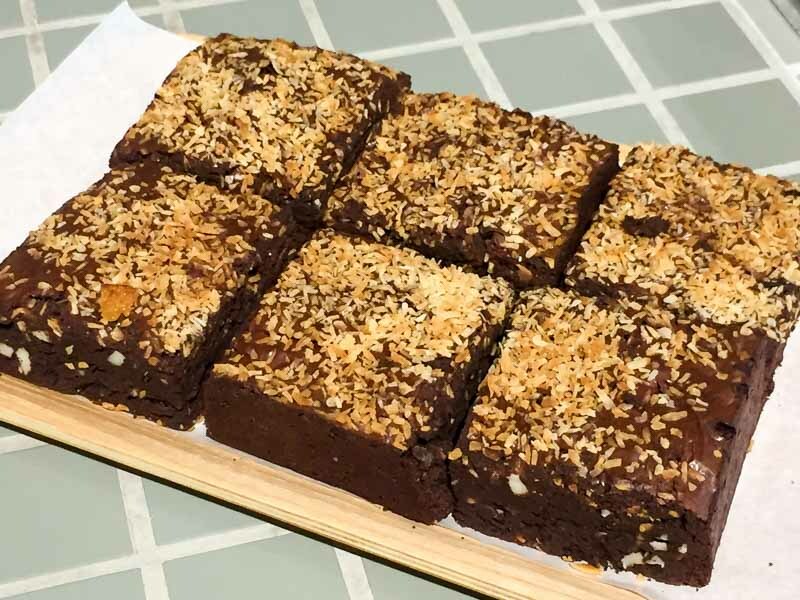 Coconut Hazelnut Brownies (S$5 each) were next on the agenda, and friends, this is exactly what a solid brownie should taste like. I prefer dense brownies, so this was right up my street, and the desiccated coconut on top just added another lovely nutty (and I’d like to think “healthy”) twist. Their more savoury offerings make for good light lunch options, and I got to try the Quiche (S$5.50 each) which was brimming with ingredients. 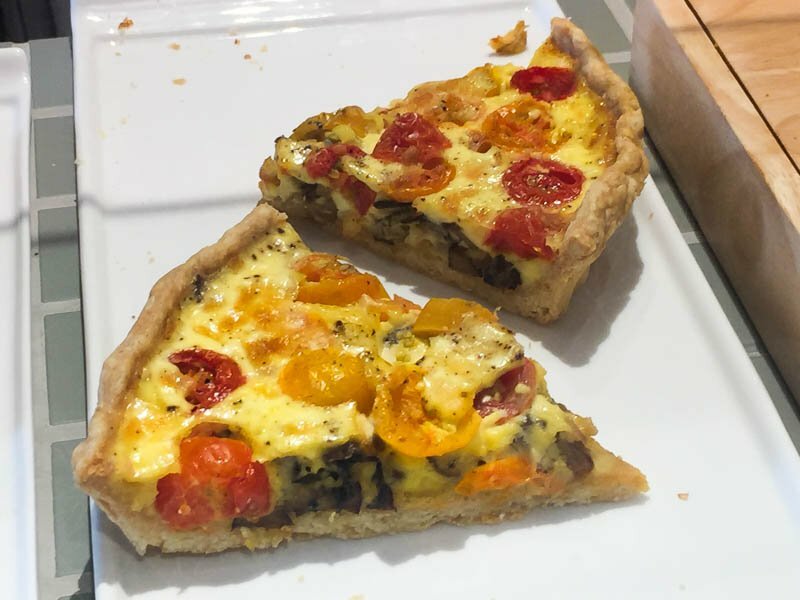 A mix of cherry tomatoes provided bursts of sweetness and complemented the earthy mushroom flavour, all nestled atop a well-baked pastry shell (no soggy base here!). 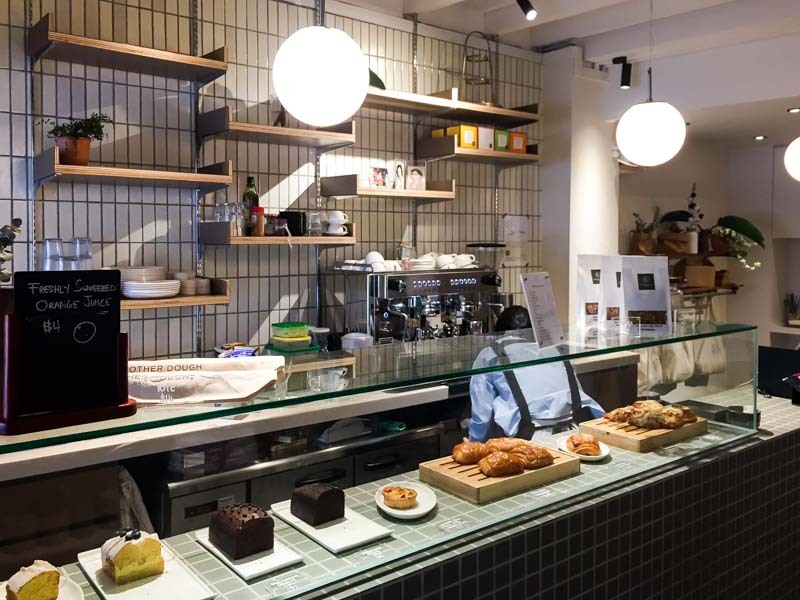 The bakery also serves up coffees, teas, and other refreshments to go along with your choice of baked treat. 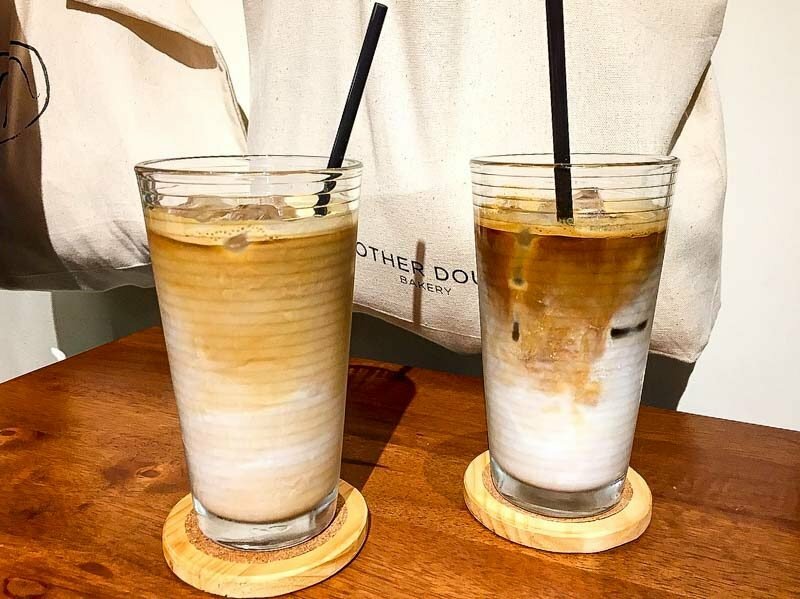 My coffee buddy and I couldn’t resist an Iced Latte (S$5.50) each, and while it wasn’t the best I’ve had in Singapore, I was definitely getting my money’s worth with the sheer size of it. 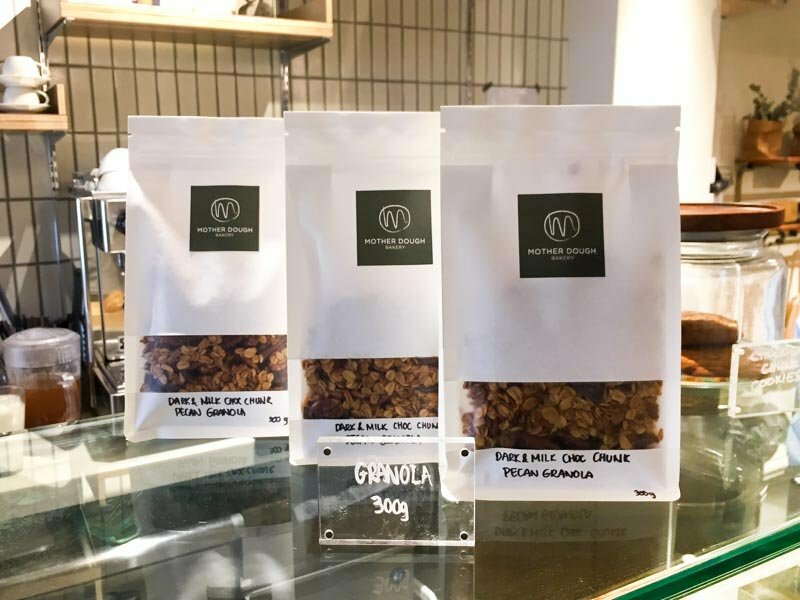 I was about to pay up and leave with a happy tummy when I saw these takeaway bags of homemade Granola (S$9 for 300g) on the counter. Friends, this will CHANGE your breakfast routine. Mother Dough is definitely not scrimping on the chocolate bits in these packets, and having this with some milk the next day totally made my morning.